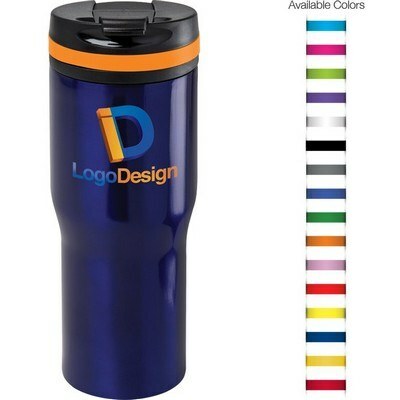 Our 20 oz Persona Urban Peak Vacuum Tumbler features sweat-free, tapered design and allows adding brand logo and message for Business Swag. Let your promotions flow out of the 20 oz Persona Urban Peak Vacuum Tumbler imprinted with your brand logo and message. Dual-walled, copper lined, vacuum insulated design ensures optimum heat and taste retention. 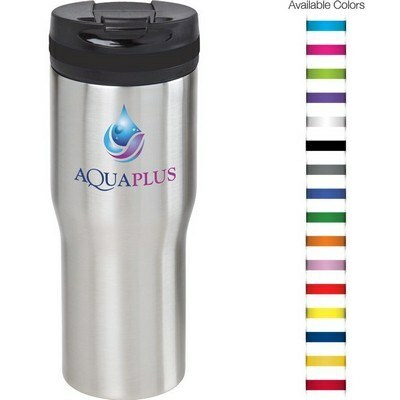 Stainless steel construction guarantees strength and durability. 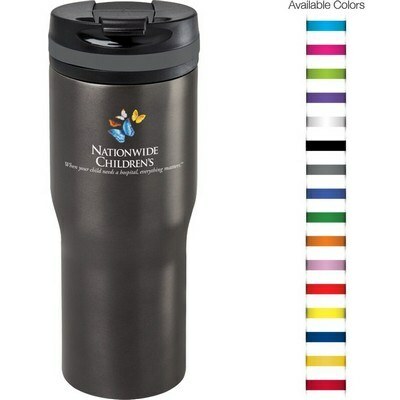 Black screw-on lid has a flip-top opening so that one can enjoy the drink without spillage. 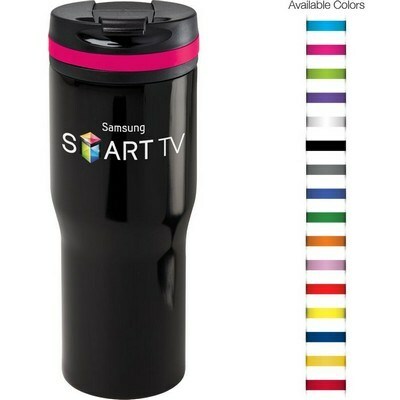 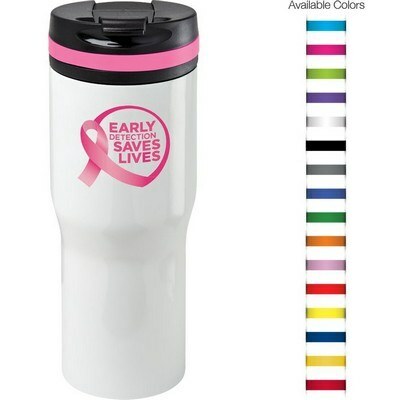 The 20 oz tumbler has a tapered shape and features a silicone accent ring on the lid from which a flashy color bursts out and makes the tumbler more eye-catching. 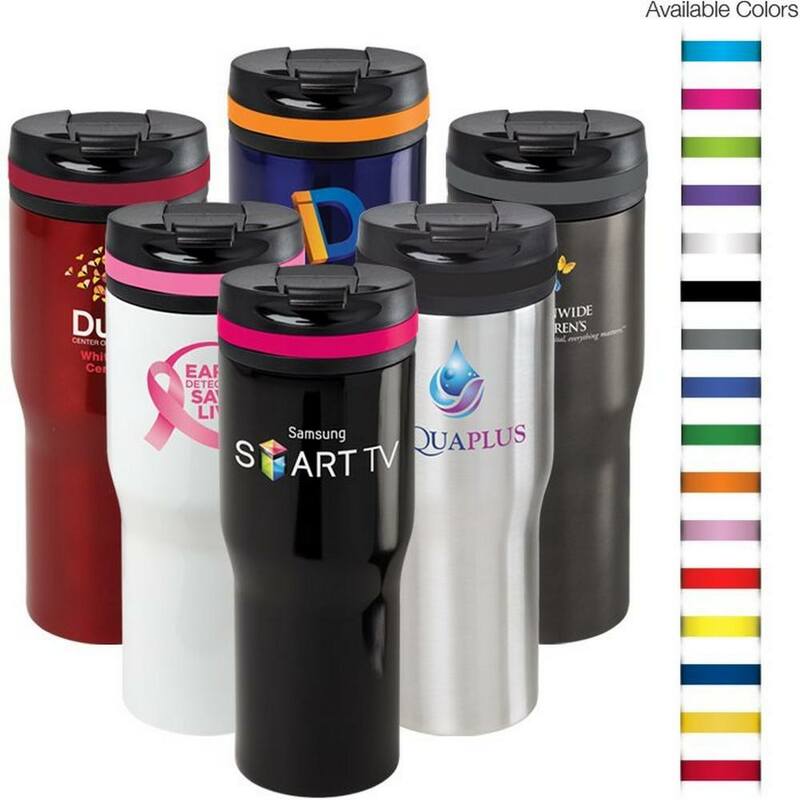 Choose from a wide variety of color options and insert your corporate details to create the perfect promotional giveaway!